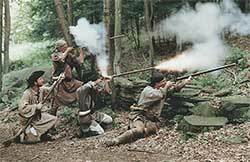 Were among the first to immigrate into Susquehanna County, which was officially organized in 1812. The homes, businesses and lifestyles of the region’s pioneers come to life at Old Mill Village Museum in New Milford. The Susquehanna County Historical Society in Montrose holds a wealth of genealogical histories and many artifacts from the county’s early days. Translated the Book of Mormon at a homestead in Susquehanna County. 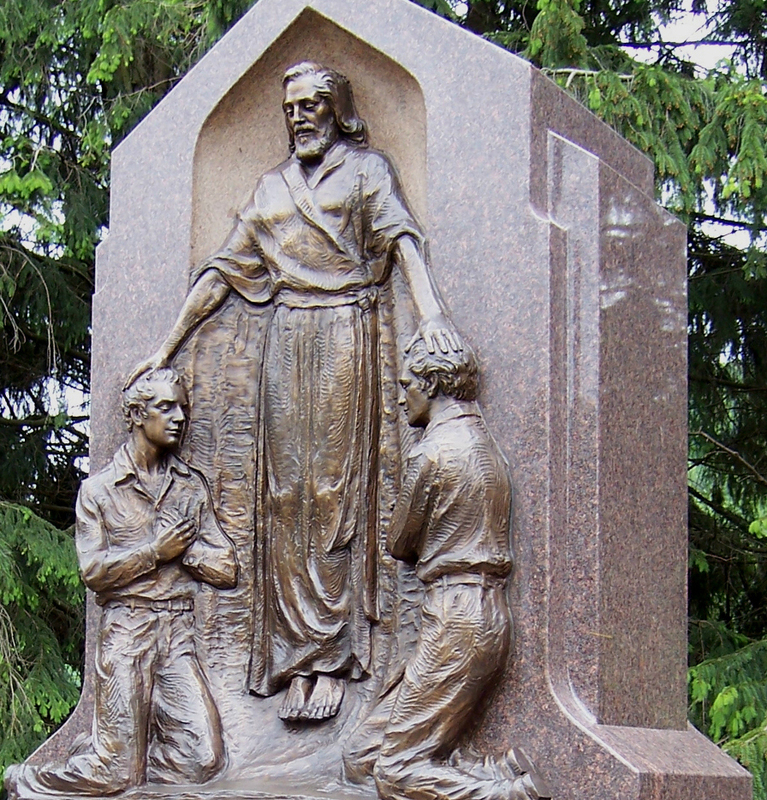 A monument commemorating the baptism of Joseph Smith and Oliver Cowdry in the Susquehanna River is located on Route 171 between Great Bend and Susquehanna. The abolitionist movement was especially strong in and around the county seat, Montrose. The Civil War Soldier’s Orphan’s School in Harford, now a museum, housed and educated the children of Civil War Veterans. Many residents of the southeastern portion of the county found work in the anthracite coal mines around Forest City. 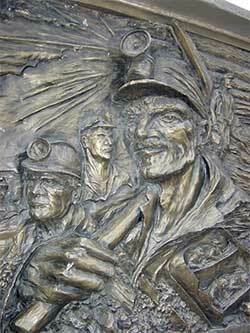 In 1996, the citizens of Forest City erected a bronze tableau to honor three generations of the town’s coal miners. Forest City residents call the monument the world’s largest memorial to coal miners. Railroad aficionados travel to Susquehanna County from all over the world to view the Starrucca Viaduct, located in Lanesboro. This National Civil Engineering Landmark was constructed in 1847 out of locally quarried Pennsylvania Bluestone. The bridge measures 1,040 feet in length and is 25 feet wide. At its highest point, the Starrucca Viaduct towers 100 feet above the ground. Between Hop Bottom and Kingsley on Route 11 is the Marten’s Creek Viaduct, a forerunner to the Tunkhannock Creek (or, Nicholson) Viaduct. This amazing concrete structure was built in 1912. Thought to be the first of its kind ever constructed in the United States. County residents began donating to the project in 1866. 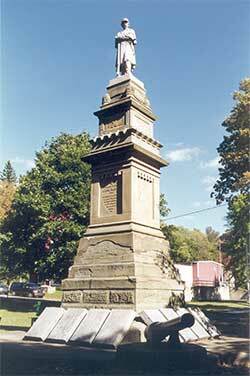 The monument, which honors Susquehanna County’s fallen Civil War soldiers, was dedicated on July 4, 1877.